With the thought of 30 mins meal mela in mind, it’s invetiable that we come up with yet another simple and easy to make Methi Rice. This is Athamma’s creation and needless to say it always turns out so good. Though she was hesitant that the rice might turn out a wee bit bitter, we couldn’t find it at all after making it. Vendaya Keerai is a healthy option for Diabetes. 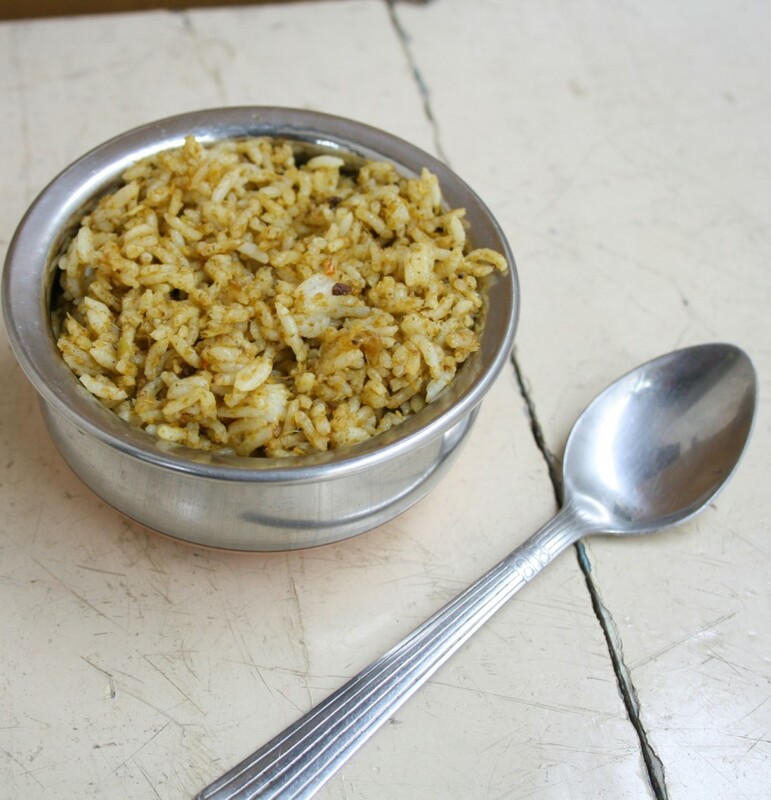 Athamma tends to include this in as many forms as she can in her regular diet. Though rice is normally not advised for diabetic, there is no harm in including a cup of rice in your meal, especially if it’s packed with so much beneficial things. The rice was so good on it’s own, that I didn’t have to make any side dish to be served with it. However you can serve with curds. Wash and soak rice, cook in your regular method. Keep it aside. Wash and drain the methi leaves. methi leaves. Grind to a smooth paste using little water. Heat a non stick pan with oil and ghee. Temper with tempering ingredients. Saute for couple of minutes. Now add the ground masala and saute well till the raw smell leaves. This may take about 5 – 7 mins. When the oil starts coming out from the masala, add the cooked rice and mix well. Finally mix in the lemon juice and remove. Saute the ground masala till the raw smells leaves. Make sure you don’t add lemon juice still on stove. 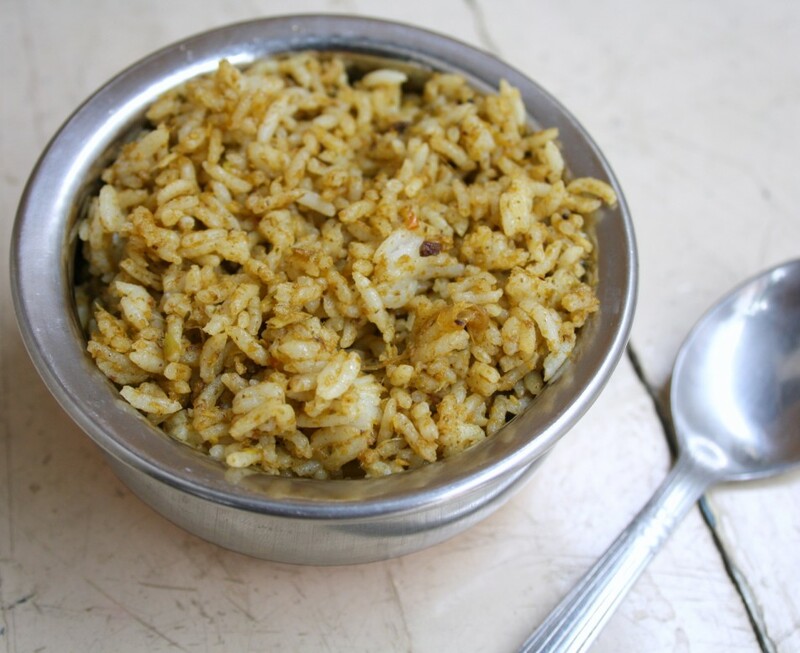 Since this has masala in the rice itself you don’t really have to serve anything special for this. Amazing and very homey!!! This one is new to me but will surely try this!!! Never get bored of this healthy rice, makes me drool.